Back in Minnesota a few weeks later we went to the Mill City Café for breakfast. We don’t venture all over town to go out to eat as often as we did when we were newly dating with students’ schedules, and without the possession of a respectable kitchen. Even though Mill City Cafe is clear across the river and a ways North, we return to the Mill City Cafe now and then for sentimental reasons. 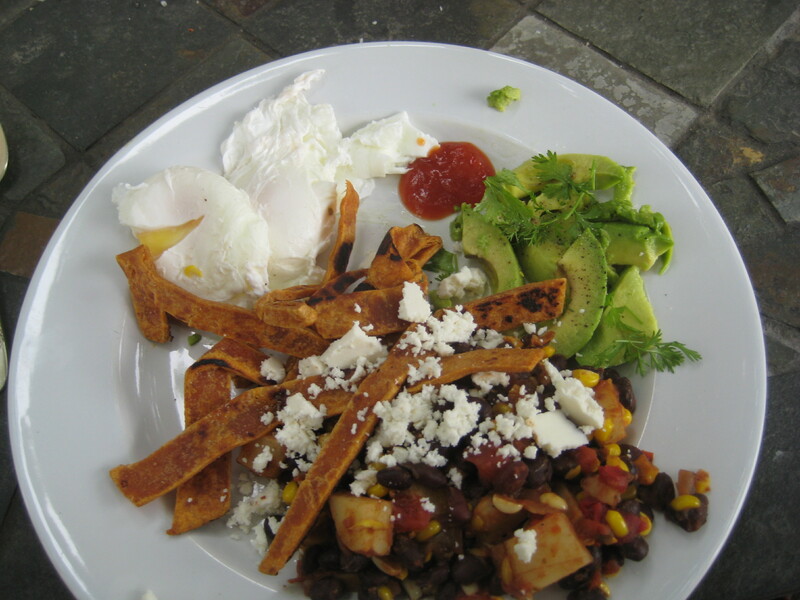 ** I was delighted to see black beans listed on the menu as a side dish. I ordered them and happily gobbled them up with the American Breakfast, giving the choice of bacon or sausage included with my entrée to Bjorn. 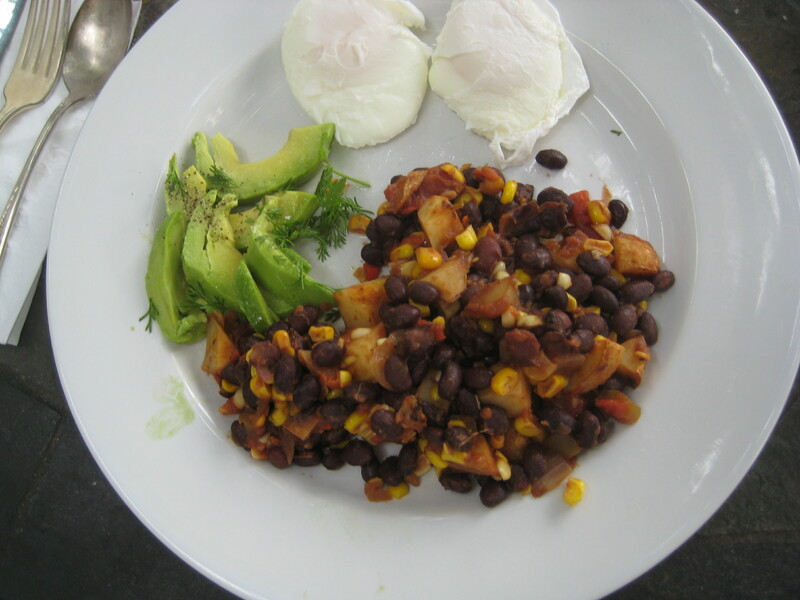 After these two tasty introductions to beans for breakfast, I have been including black beans in our breakfasts at home whenever I have a hankering for them. They are a great vegetarian protein, and work especially well when you are heading toward the brunch hours, or when you have a taste for a savory breakfast, which I so often do. Black Bean Hash is simple, especially when you start with leftover potatoes, which is the only way potatoes make it to the breakfast table in my house. I start by frying some diced onions in a little olive oil, depending on my mood, I toss in a little minced garlic, then I add potatoes which are chopped into cubes if they weren’t already cubed in their previous incarnation. I use canned beans. I think about switching to dry beans because there are so many good reasons to use them, but so far I haven’t made the move. My holdup is, takes too long to soak them, and doesn’t work well for me because I like to make last-minute decisions about a meal. I drain and rinse the beans, add some corn that is either thawed frozen corn, or fresh corn cut off the cob***. 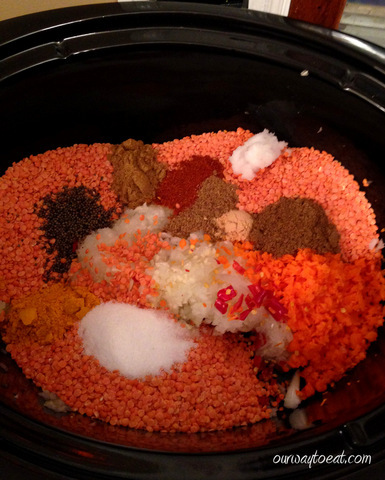 I usually add some chili pepper flakes, and dump in some salsa to pull it all together. In another pan I started some water to simmer to poach eggs. I was in the mood for a poached egg for this meal, but the egg would be just as good or better fried, or baked directly in the hash in the oven. One my favorite things about Southwestern and Mexican cooking is all of the delicious accompaniments that these cuisines invite. Today, I sliced some avocado, and doused it with a lime juice to keep it fresh and bright, and sprinkled it with sea salt, cracked pepper and some chopped fresh dill from the garden. I also fried some tortillas to add the lovely, salty crunchy carbohydrate to the meal. To prepare the tortillas, I sliced them into strips and fried them in a little oil, and then dusted them with some spicy seasonings and a little salt and a squeeze of lime juice to help the seasonings adhere. Finally, and most importantly for my Tex-Mex accompaniments: cheese and hot sauce. I keep several different brands of sauce on hand, and today, I also had some mild and slightly salty Cotija cheese to crumble over the hash. This meal is quick to make as long as you use leftover potatoes, and it is hearty enough to satisfy for hours. 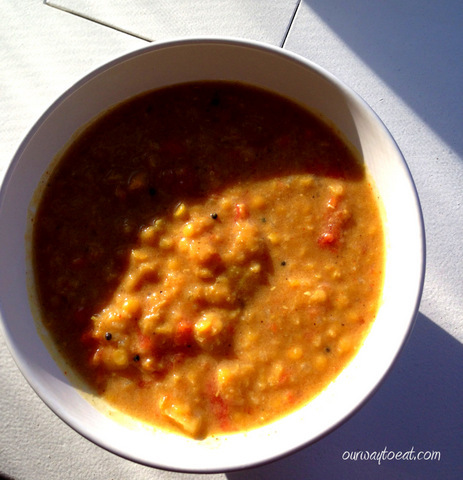 It is a great weekend breakfast or brunch, but would work equally well for dinner at night. *Boise is pronounced Boyseee by the locals, FYI. **We’ve seen a few of our favorite local bands play at the Mill City Café over the years, and we had a very nice Valentine’s Day prix fixe multi-course dinner there on our second Valentines Day together. 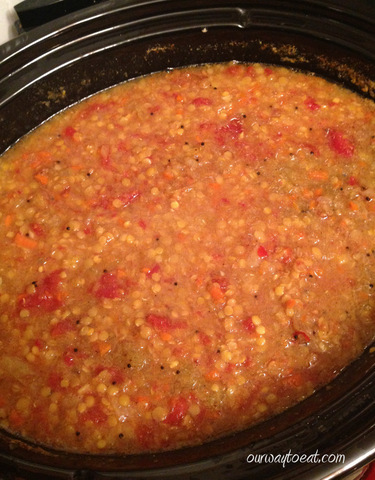 ***The addition of corn to the beans is a combination that provides an essential Amino Acid. This is important for me as a vegetarian or any person whose diet is light on meat who needs to try a little bit harder to make sure their diet includes the essential combinations of nutrients. Bodies cannot produce essential amino acids on their own, and need them to synthesize proteins. I am a follower of an ever-growing list of blogs. If I let myself, I would probably be able to add a new blog to my Favorites every week*. Most of the blogs I follow are food-related, a few focus on lifestyle, decor or fashion, but mostly, cooking, restaurants and the like. There are so many creative and fascinating people out there blogging, it humbles a person who is just starting out. A lot of these fantastic bloggers have better cameras, and more technical agility and more honed culinary skills than I do. Some of them have even contracted with a web designer. But this doesn’t deter me, because this is just for fun. The way I look at it, if I keep coming back every day to see what these internet personas are doing in their little corner of the world, maybe someone will stumble upon our blog and come back to see what we’re eating and what is inspiring us. 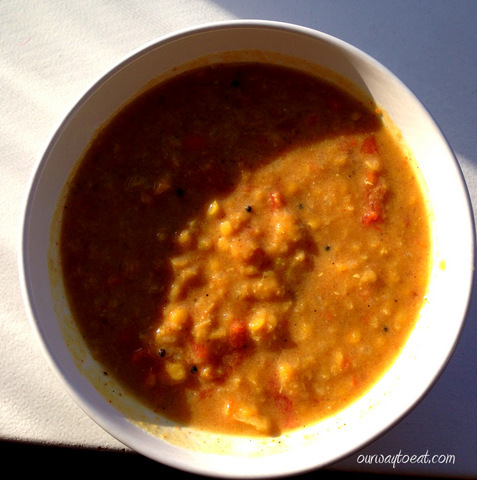 Since I spend a few of my free moments virtually lurking around kitchens of some serious foodies and great chefs, now and then I am inspired to try a recipe, or more even often, create a dish inspired by something delicious-looking I’ve found in a blog. Hence, a new, soon-to-be recurring feature, Inspired by… which will feature a dish I make that is based on Another Blogger’s Creation**. I encourage readers to follow the link back to the original blogger’s post. 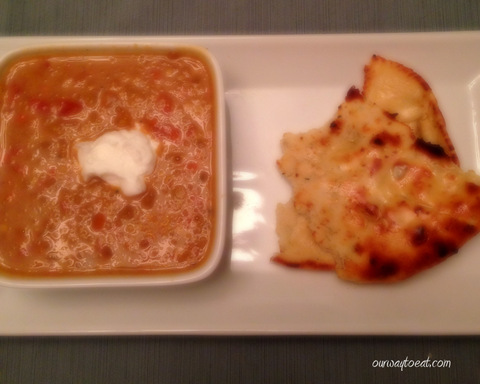 When I say, my dish is Inspired by… something I don’t mean I’m going to even attempt to recreate exactly what the original blogger did, or show how to make the dish step-by-step. It is more likely to be a riff on the original. I like to play fast and loose with recipes, and I am not a Parisienne daily grocery shopper, so I’ll be using what I have on hand. So, here it goes. 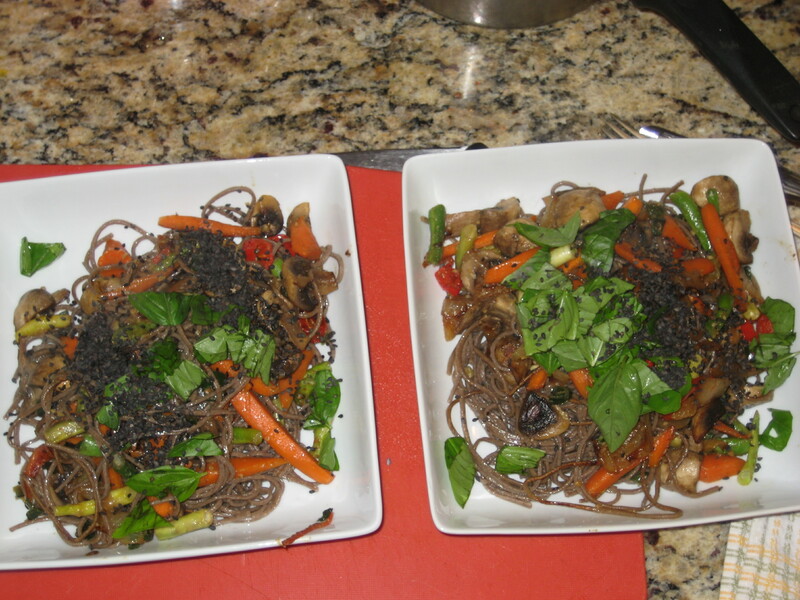 My first Inspired by… begins, where my blog following began, an easy Summer Soba supper, inspired by Macheesmo. Macheesmo is the first blog I ever followed. I was googling a recipe for some ingredient I needed to use up, and landed on his site. Macheesmo is an informational blog written by a guy named Nick, and typically shows a recipe step-by-step. He has a few recurring features, such as a weekly poll to determine a recipe he’ll make and blog about, and “Homemade Trials” where he attempts to make something from scratch that you’d otherwise buy. I think he even does research. As is typical for me, I followed the recipe loosely. I stir-fried green onions, carrots and button mushroom with a few Thai chilis and green beans from the garden. The sauce contained soy sauce an sesame oil, but substituted ginger from the spice cupboard for the fresh ginger and champagne vinegar for the mirin. The Macheesmo recipe contains corn, which sounds great, but wasn’t in my refrigerator. 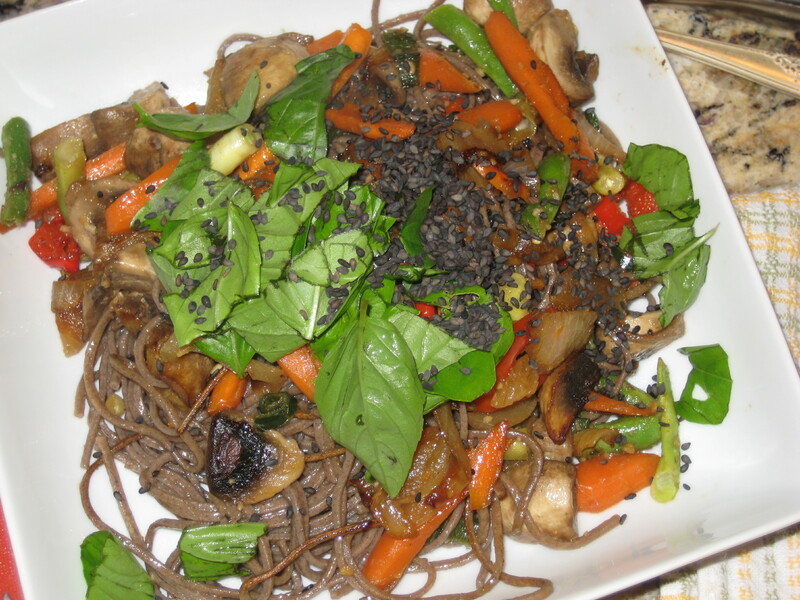 I topped mine with toasted black sesame seeds and fresh basil from the back yard. As promised by Macheesmo, the result was a tasty and healthy supper, and an even more delicious cold lunch at work the next day. It was far tastier than a frozen microwaveable meal which are a noontime standard in the office lunch scene. Ironically, a co-worker commented “that doesn’t look very appetizing!” when she observed my plate. The dark colour of the soba noodles, combined with the soy sauce sesame seeds must have thrown her off the trail, because it actually was the best lunch I’ve had in a while. To each his or her own. I recommend checking out Macheesmo, and giving the Summer Soba a spin. *I did in fact just add about 5 to my links, Blogs To Get You Through The Day list. **Yes, Another Blogger’s Creation purposefully harkens back to Another Bad Creation, (ABC), the 1990’s R&B group from my youth. I am sure that of the best home-cooked meals I’ve eaten in my life, the vast majority of them were consumed at or around noon on Sunday. The day of rest welcomes a meal made a slower pace and consumed with some measure of reverence. Slowing down enough to enjoy and to be aware of the activity of cooking and eating has so much to do with what makes food enjoyable, after all. The slow part is not out of the ordinary for me. I’m a slow cook. I don’t like to rush. I like to meditate on the process a bit and I like to have most of my dirty dishes washed before the meal is served. Most importantly though, I like things all to be hot and ready serve and to eat at the same time. Yesterday’s noon meal was no fancy Sunday roast, but I hold that pizza is worthy of being the culinary high point of the week when it is made with love from scratch with the yummiest toppings you have available. 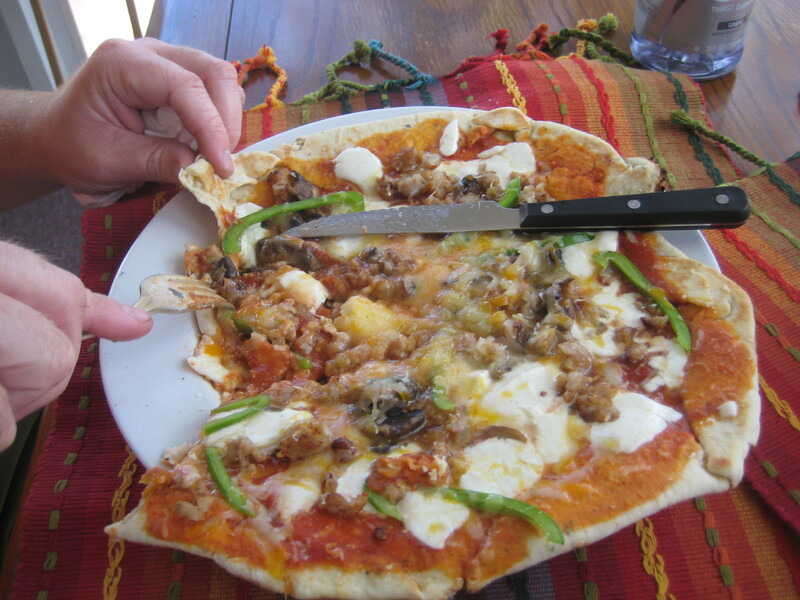 It takes some time to make your own dough and to cut and saute your favorite toppings. 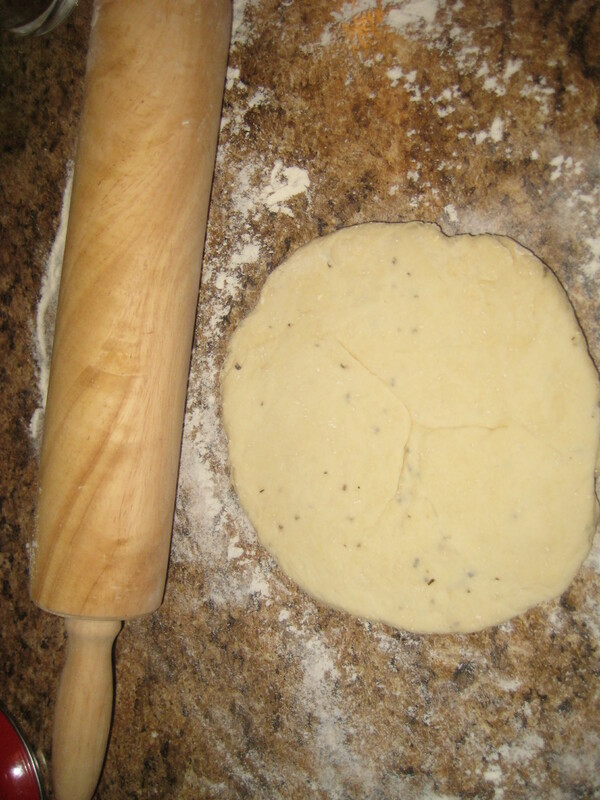 Above, pizza dough flecked with basil and Pecorino Romano Cheese. On the left, mushroom, green pepper, pineapple, fresh mozzarella and marble cheese (mozzarella was in short supply!). On the right, maple syrup breakfast sausage, mushroom, green pepper, mozzarella and marble jack. Tomato sauce seasoned with salt, pepper and oregano on both. 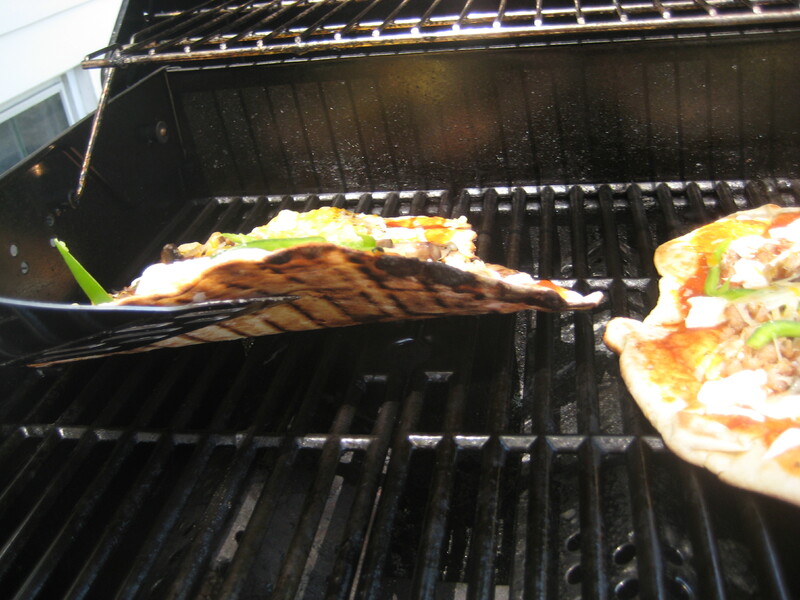 Char marks are one of the best results of grilling a pizza. The vegetarian version was delicious. 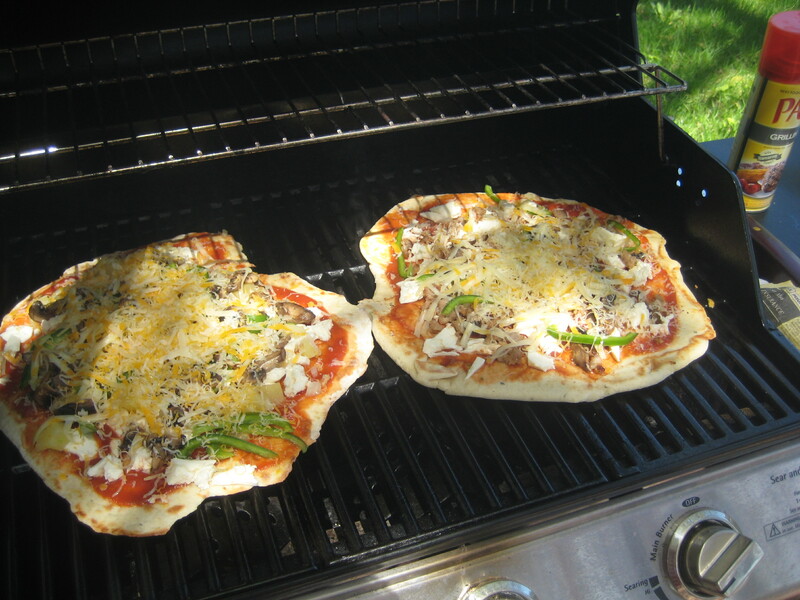 Perfect char marks, delicious toppings… Only addition needed was a coke. Punch Neapolitan Pizza, one of our top three favorite pizza shops in our hood serves some of its pies uncut with a knife and fork. 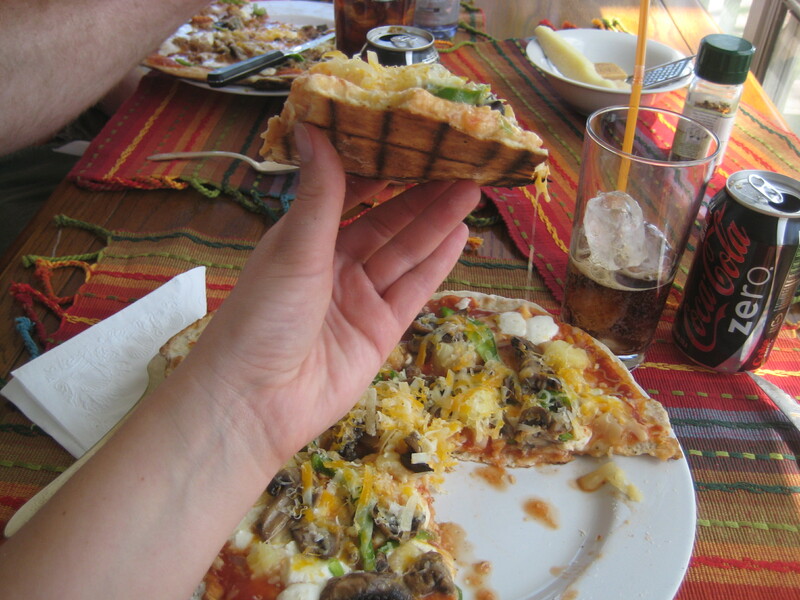 It works well for a personal size pizza with a crispy crust that is loaded with toppings. Here is Bjorn’s maple syrup breakfast sausage Sunday delight.